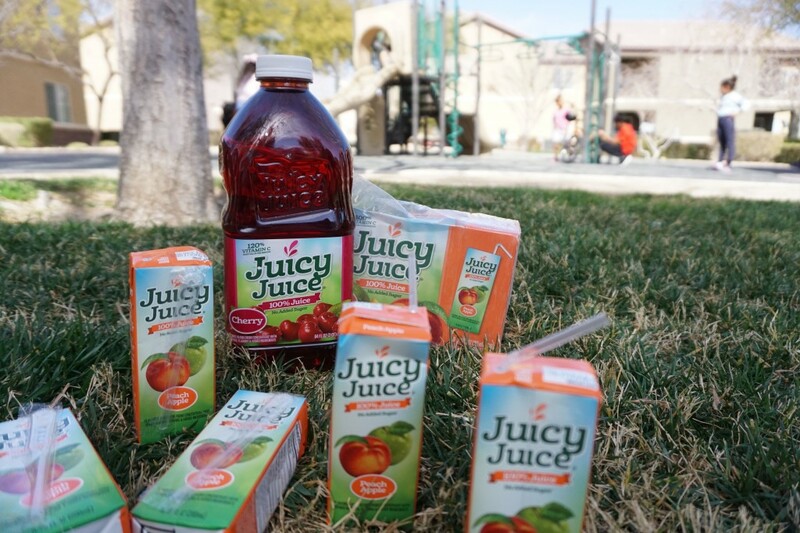 *This post is sponsored by Juicy Juice. As always all opinions are my own. Spring is finally here, well in most parts of the country! With spring…comes spring break from school. For those of you who stay at home, work from home or plan to take a vacation during your kid(s) break, it can be a challenge keeping them busy especially if you don’t have plans to go away. For us getting fresh air is a MUST…visiting favorite parks or venturing out to new ones is always at the top of our list. Bonus is that it’s a FREE activity for all of you budget conscious moms like me. 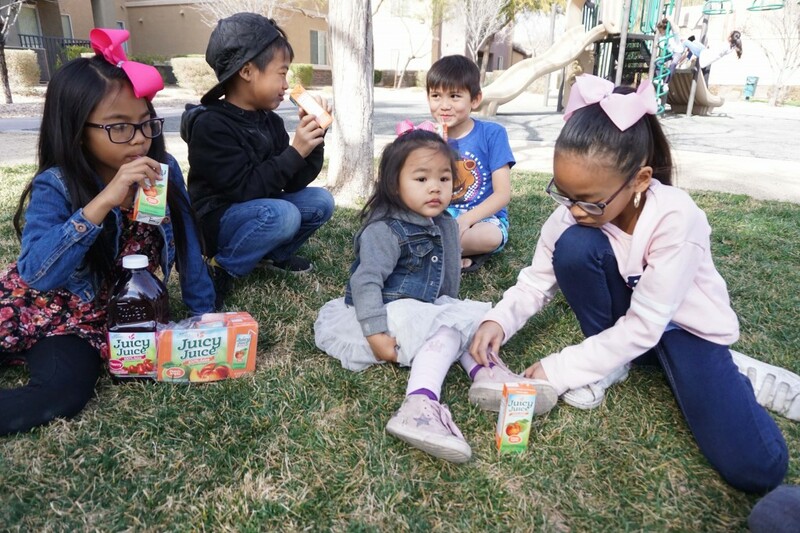 Plan a picnic around it and bring lunch, snacks and your fave on the go drinks like Juicy Juice. Some new faves of ours are Peach Apple and Cherry. If the “spring” weather is not cooperating in your neck of the woods, then bring a refreshing springtime drink to your kitchen table. One that the whole family can enjoy. 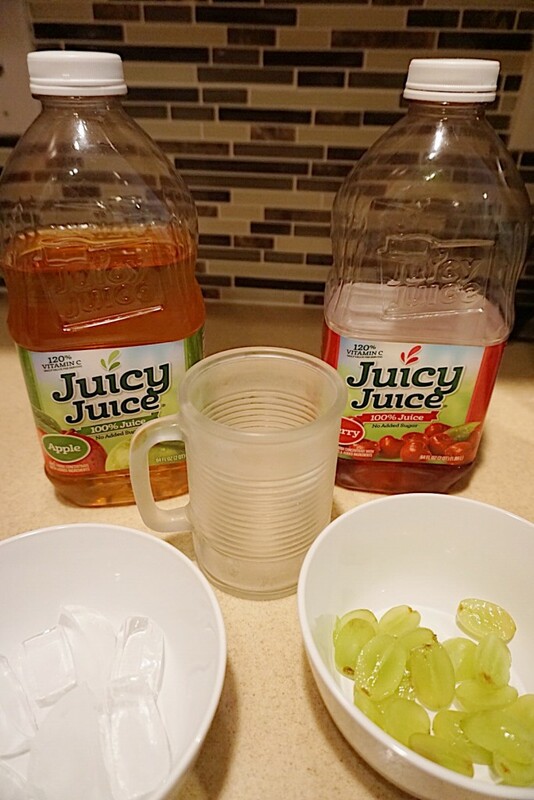 We created this fun drink using 2 Juicy Juice flavors we already had on deck and some grapes we had in the fridge. You can honestly use any fruit you have in your fridge. 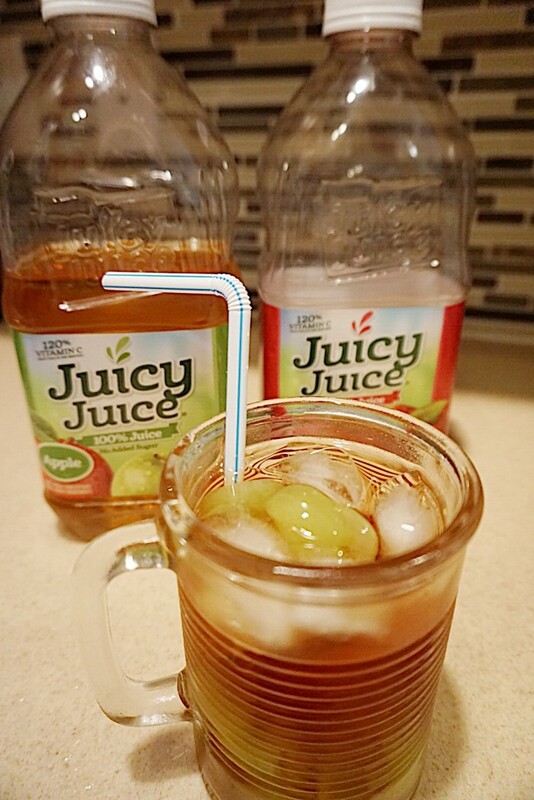 We took a freezer safe cup and chilled it in the freezer for a cooling effect, grabbed a few ice cubes (crushed ice would work even better), sliced a few grapes, added half apple flavor and half cherry flavor juicy juice and ta-dah…the kids and I call this our “Cherry, Apple, Grape Chill”! Let us know if you try this out or have other refreshing drink combo ideas we can test out using Juicy Juice this Spring?